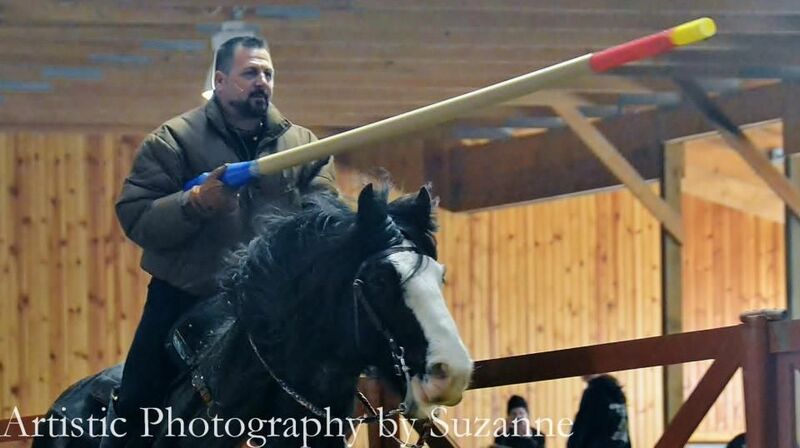 Charlie Andrews (of the Knights of Mayhem), the Knights of Iron and members of Combatant's Keep all came together on Saturday, March 9, at Windy Knolls Farm in Sullivan, Ohio to give a clinic on contemporary competitive jousting. 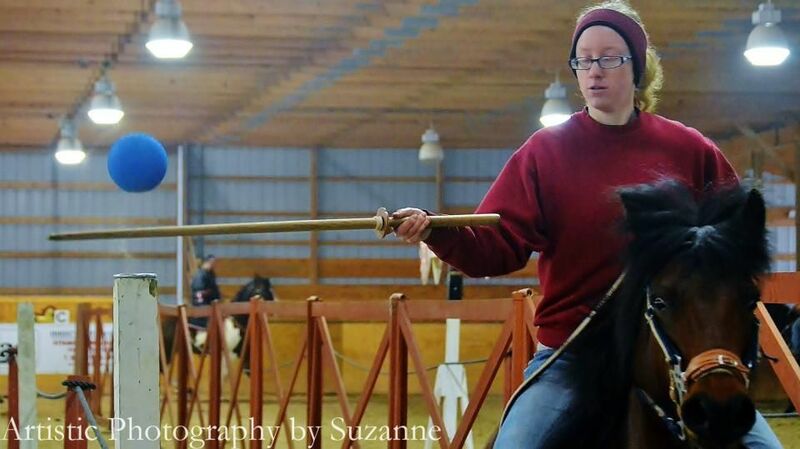 It was called the Equine Excellence Jousting Clinic 2013. The ten participant slots were filled almost as soon as the clinic was announced, and on the day of the clinic, the stands were filled with spectators cheering the participants on. The participants were all female, ranging in age from teenage to grandma. It looks like the future of jousting is going to the girls. The participants were first taught a couple of the basic mounted skill at arms (MSA) exercises – cut and thrust, spear throw, tilting at rings and tilting against the quintain. Then, they actually got to tilt against jouster Kellyn Burtka of the Knights of Iron using a cardboard lance with a foam tip. The young lady who rode the horse named Gretchen was declared the “Cup Winner” of the clinic by Charlie Andrews. The horse, Gretchen, was so cute that Charlie nicknamed her Ted E. Bear. 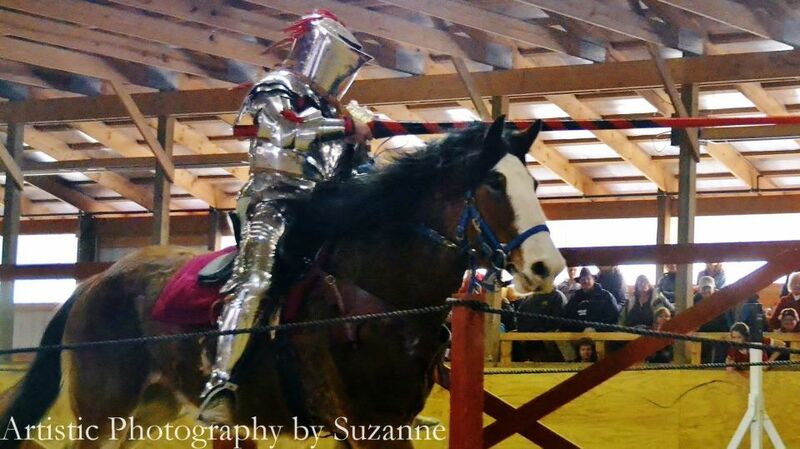 At the end of the clinic, Charlie Andrews and several of the other experienced jousters put on a demonstration of jousting for the clinic participants and spectators. 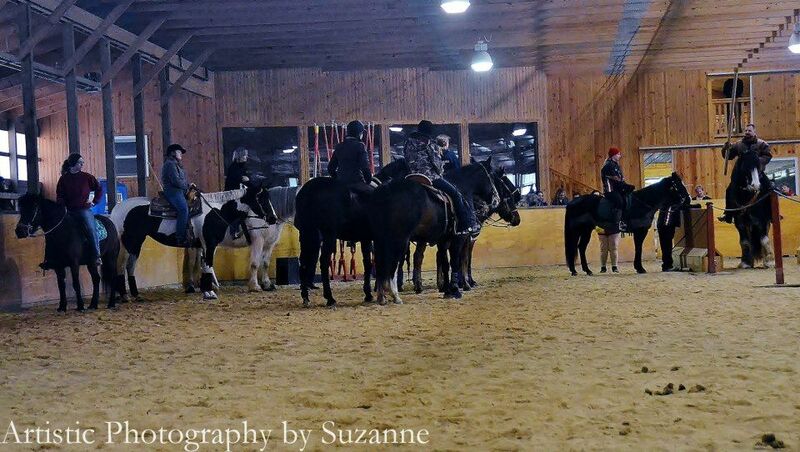 You can see more pictures from the clinic in the Equine Excellence 2013 photo album. You can learn more about Charlie Andrews and the Knights of Mayhem, the Knights of Iron and Combatant's Keep by clicking on their names/links. Most definitely~! Enjoyed it Suzanne. Thanks for sending the link!